I piled a whole lot of horseradish into the sauce. I really like the contrast of the sharp spice against the sweet shrimp. I also made sure to buy a brand of horseradish whose first ingredient was actually grated horseradish root, because I wanted the real deal! But here’s where I should warn you that the longer the cocktail sauce sits, the stronger the flavors get! That includes the horseradish…so if you don’t like a spicy cocktail sauce, then use the smaller amount of horseradish in yours! Cocktail sauce is super easy. Simply measure (or eyeball it, I won’t judge) the ingredients and then stir. Taste and adjust as needed. I started with the smaller amounts and then added a bit more lemon and a bit more horseradish to mine. 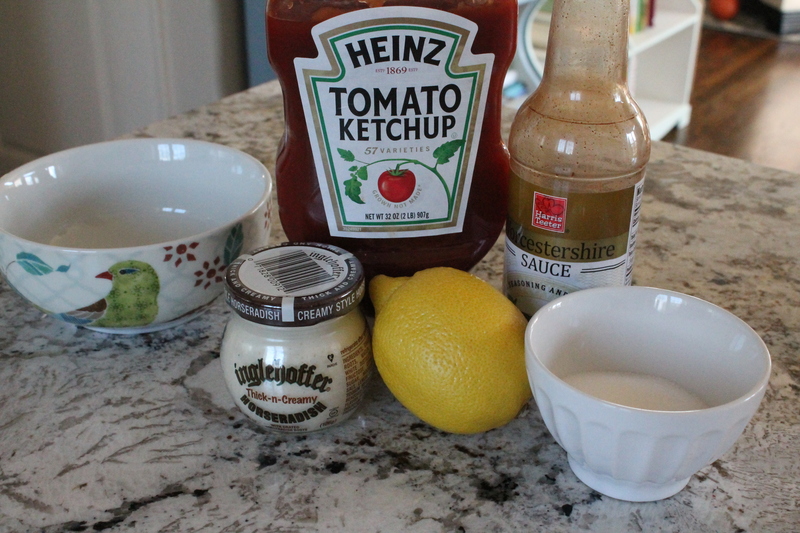 (Then, later, I upped the ketchup after the horseradish kicked in!) It’s not a science. But it is delicious! 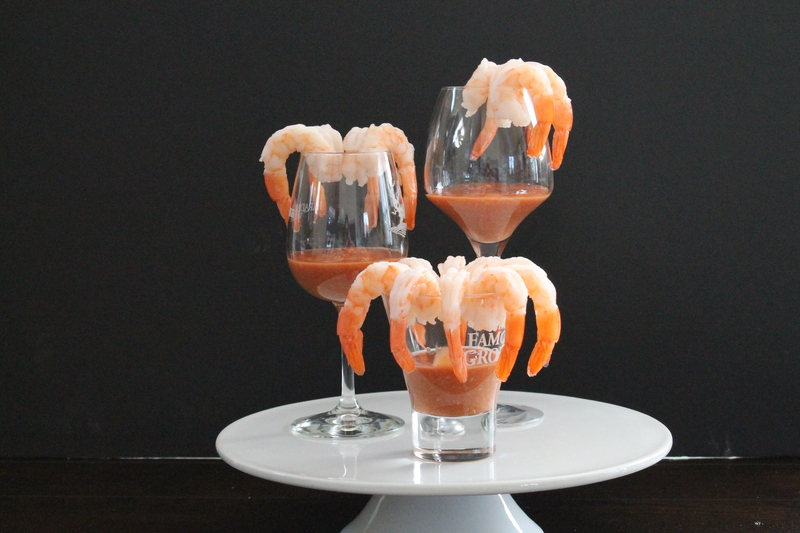 Add pre-cooked, peeled and deveined shrimp and you are good to go! I always make sure to rinse and pick through my shrimp even when they are theoretically ready to eat. I still managed to find a few that had their icky veins in tact. Don’t want to eat those! This recipe serves a crowd, but if you want to share with just a few people, cut it in half. 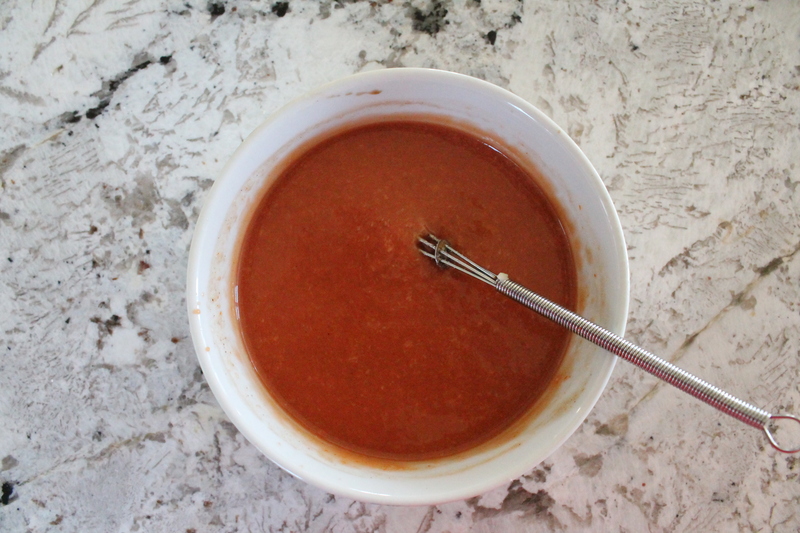 Stir together the ketchup, horseradish, lemon juice, Worcestershire, salt, and sugar (if using). Taste and adjust horseradish and lemon as needed. 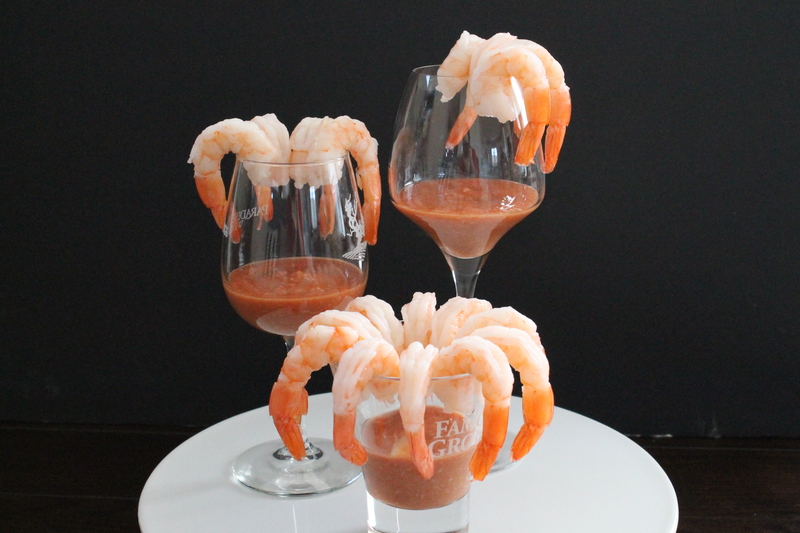 Spoon the cocktail sauce into a serving bowl and arrange the shrimp around it. Serve chilled or at room temperature. Store in the refrigerator.